Common Sense Media’s service Graphite, which offers independent ratings and reviews of learning apps and websites, has compiled this list of the best apps to teach students about sustainability, biodiversity and ecosystems. 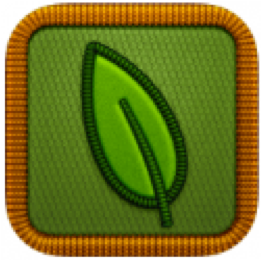 Common Sense Media’s service Graphite, which offers independent ratings and reviews of learning apps and websites, has compiled this list of the best apps to teach students about sustainability, biodiversity and ecosystems. For complete reviews, and for each app’s "Learning Rating," visit the Graphite website. 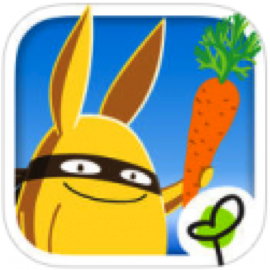 Gro Garden is a fun and interactive way to get kids engaged in gardening and the environment. Through each area of the app — the garden plot, the house and the compost pile — kids get a sense of how growing and consuming food are interconnected. Users drive their own experience, cycling through planting, harvesting, eating, making compost and planting again. Along the way, they'll earn badges to reward their progress and meet charming characters such as Connie the Compost and her friends the Micro Organisms. Read the full Graphite review. 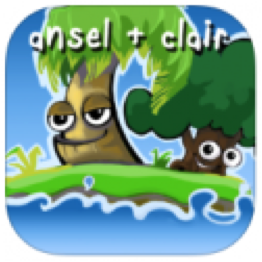 Ansel and Clair: Little Green Island is an 18-level adventure game in which kids are put in charge of the ecological health of Little Green Island. Kids complete missions such as clearing trash, planting trees, selling trees and freeing birds stuck in oil spills. In between their missions, kids read or listen to information about environmental issues, such as what trees do for the earth or how people clean up oil spills. The app's mix of animations, video game-like elements, songs and brief audio and visual lessons help kids learn what can hurt the environment and how they can help. Read the full Graphite review. With Professor Bio as a guide, iBiome – Wetland prompts kids to explore unique wetland habitats while building their own "biodomes." 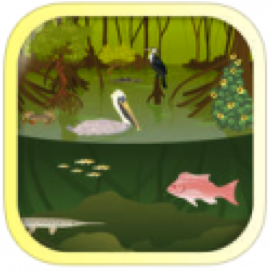 Kids complete specific tasks in each of the three habitats: a freshwater marsh, a saltwater marsh, and a mangrove swamp. Tasks include identifying consumers, producers and environmental factors. Once kids complete a task, a new species is unlocked. Not only do they learn about all the unique species in the different habitats, kids also learn what makes — and what doesn't make — their own biomes flourish with life. Read the full Graphite review. Project Noah is a crowd-sourced online database of plants and animals that lets kids become citizen scientists. Kids use the cameras on their mobile devices to capture images of their local ecosystems and then share them through the app or by uploading them to the Project Noah website. Photos are added to a growing field guide that kids can view as an interactive world map. They also can join specific local or global missions, creating a fun way for teachers to get kids actively observing their environments while participating in real-world scientific research. Read the full Graphite review.